The final prize for SMITE‘s Odyssey has been unlocked, and it’s a cool… er… hot?… It’s a Frostfire Ullr skin. 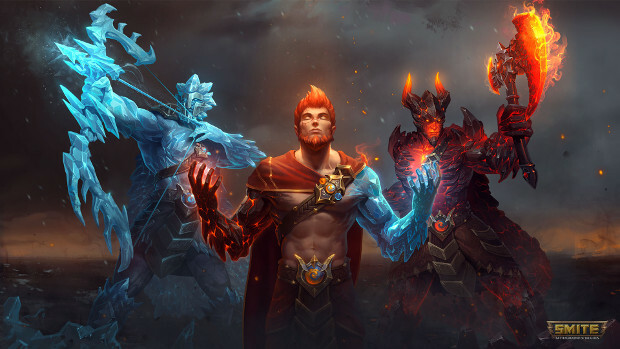 The new skin changes appearance as Ullr levels up, taking the Norse god from simple elementalist to the embodiment of both fire and ice. The element is determined by which stance the god is in, melee being fire and ranged ice. Both have special effects, animations and even their own voice lines. As skins go, Hi-Rez kinda went all out on this one. The Frostfire Ullr skin is available on all platforms as of today. You just need to make sure you have enough Odyssey points to unlock him. If you’d like to read more about the skin and other Odyssey content, you can do so via the latest set of patch notes on the SMITE site.